After directly answering them with our trademarked slogan, “Women Deserve Better® than Abortion” and the development of neonatal technology that clearly shows that “it” is a human being, abortion providers have changed tactics. 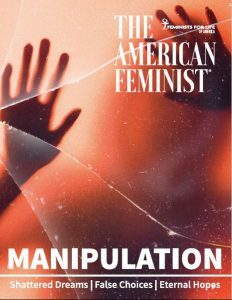 You read some of what I first revealed in “MANIPULATION,” an analysis of the internal training of abortion workers at Planned Parenthood. In the coming weeks, you can help us answer a new generation of bold-faced lies by abortion providers as they try to “normalize” abortion. Your response may be quoted in an upcoming issue of The American Feminist. Please be sure your support is current. 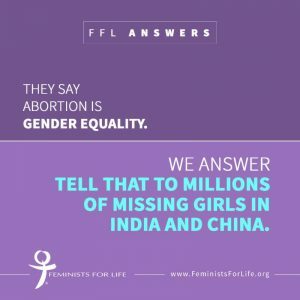 And go to Facebook, Twitter, or Instagram every day for your daily pro-life feminist fix, and join us as we unmask their new bold-faced lies with pro-woman answers. P.S. If you didn’t receive “MANIPULATION,” or are missing any other back copies, please order them now on Covetable Stuff(SM). Not yet a member or wish to give a gift membership to someone else? 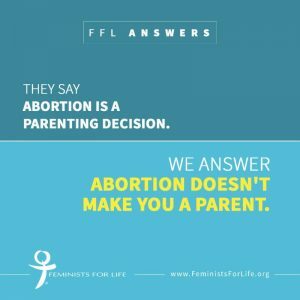 Get started with our magazine filled with pro-life feminist history quotes, all originally researched and revealed by FFL, and “Pro-Woman Answers to Pro-Choice Questions.” in our FFL Welcome Kit. If your support has lapsed, we welcome you back with our two latest magazines, “End the Feminization of Poverty,” our insightful issue that delves into the systemic reasons why women choose abortion — a choice that solves nothing — and “Beyond the Schism: Reclaiming Feminism,” our revolutionary issue that examines the very moment that abortion activists hijacked the women’s movement and answers the question: Was Alice Paul there? Thanks to all who fuel our work on campus, on the Hill, and through social media!